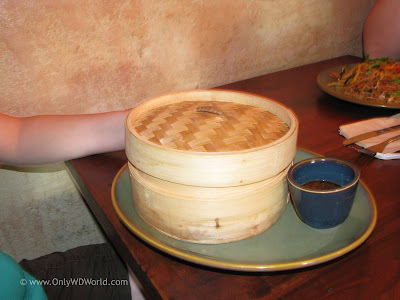 There is a hidden gem within Disney's Animal Kingdom that is often overlooked when discussions turn to Walt Disney World Resort Restaurants. It is a fairly recent addition to the animal focused theme park and it wins for both incredible theming and great Asian inspired food. 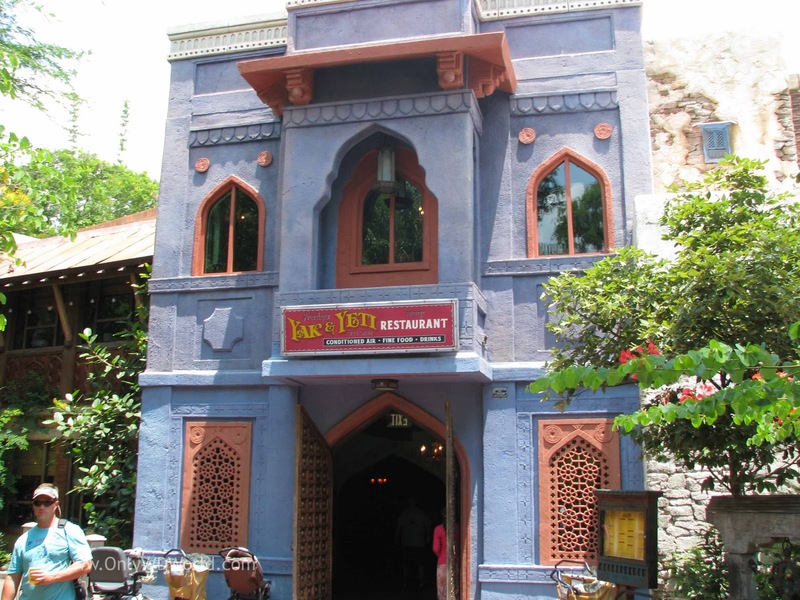 The Yak & Yeti Restaurant is one of only two Table Service Restaurants that can be found within Disney's Animal Kingdom. 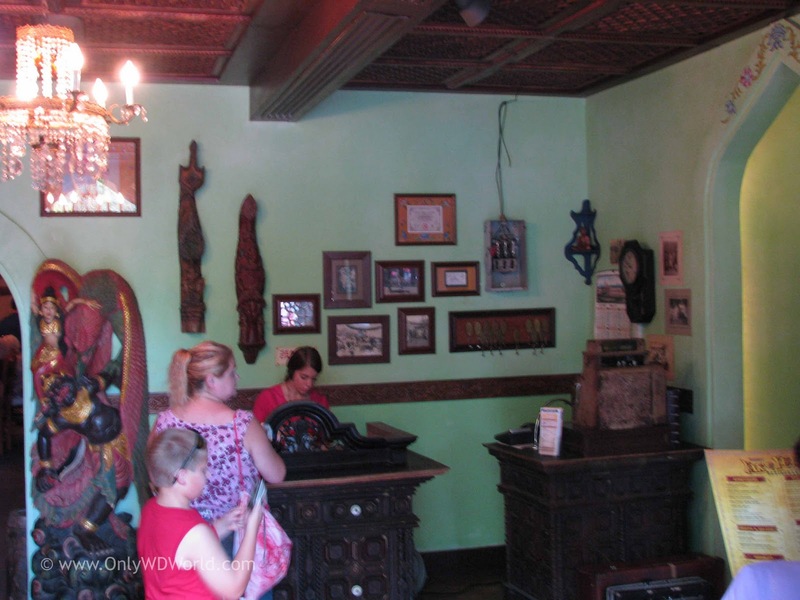 When this theme park opened, there were none and Disney recognized that they needed to correct this oversight. 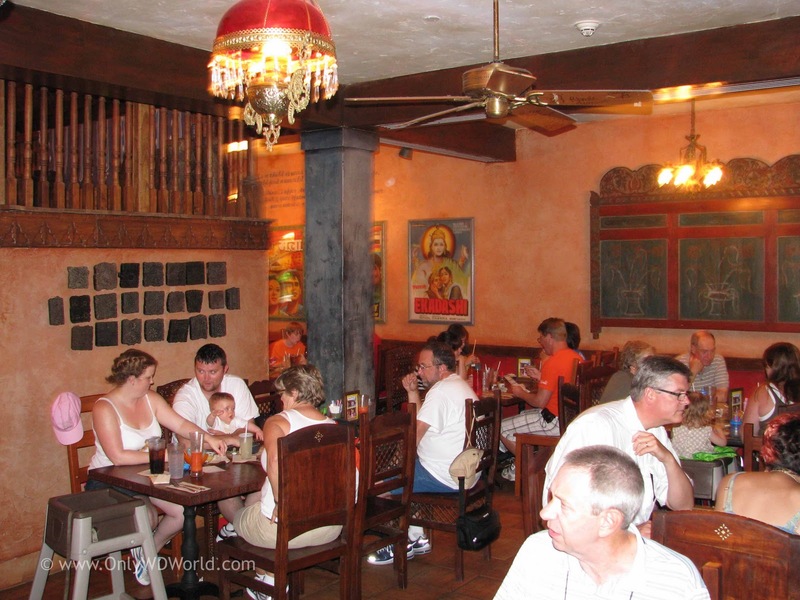 Disney World Theme Park Guests have become accustomed to experiencing great themed restaurants in addition to the normal park attractions. The Yak & Yeti Restaurant does not disappoint when it comes to theming. 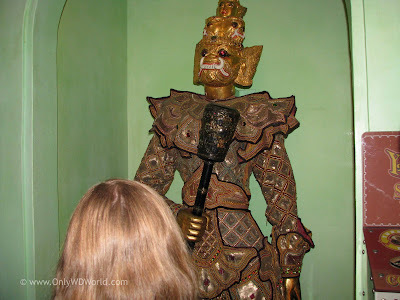 It is anything, but your typical restaurant and it is worth dining there just to get a chance to explore the restaurant and look at all of the artifacts and decorations you will find within. 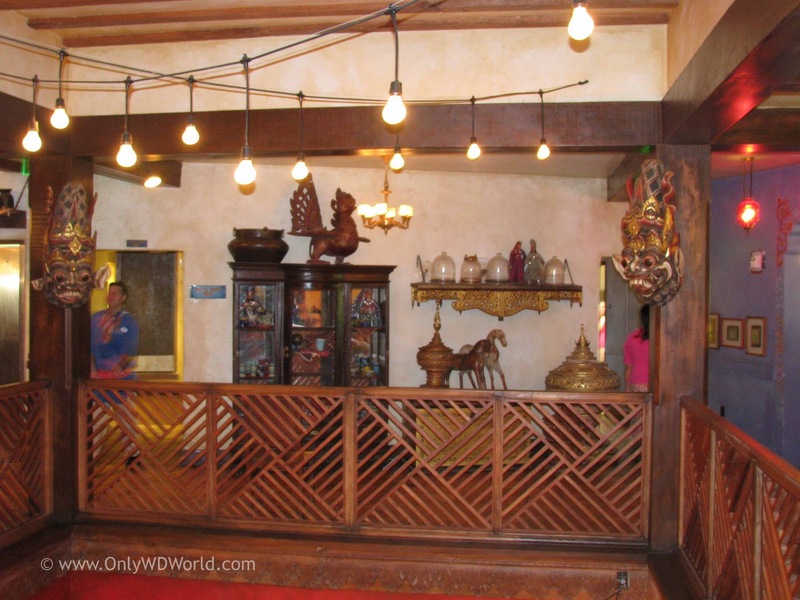 There are two stories and multiple rooms with each adding a different flavor of decor to enjoy. The Yak & Yeti is not just a greatly themed restaurant, the food is definitely a great reason to visit also. The Asian themed food here gets better guest reviews than the Nine Dragons Restaurant in Epcot. 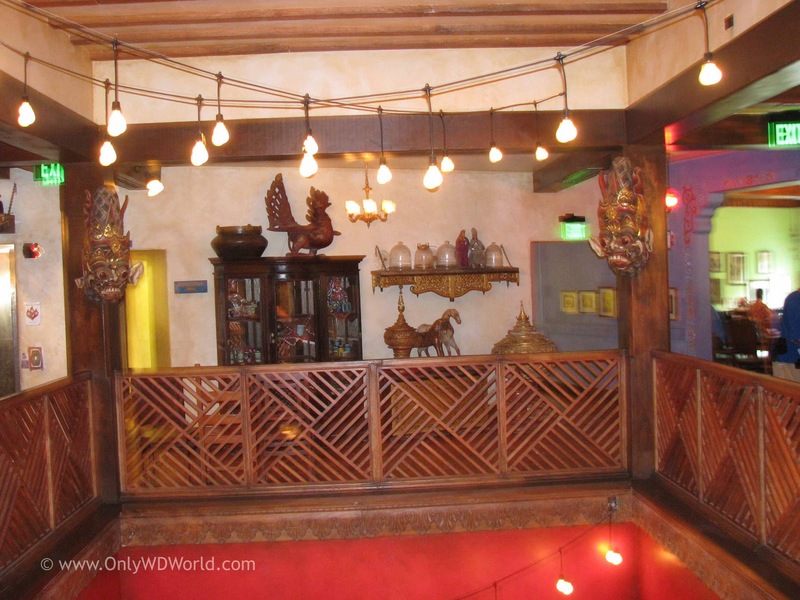 During a recent visit my family of four tried four different entrees on the Yak & Yeti menu. 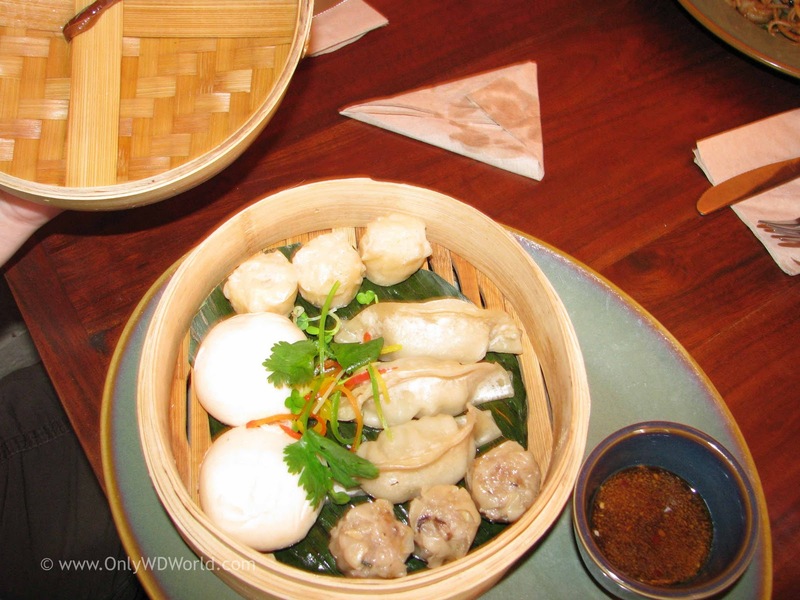 The Dim Sum Basket for Two is listed as an appetizer, but it also makes a great entree. True to its name the food comes inside a basket that contains Pork pot stickers, shrimp siu mai, cha su bao, and pork sie mai steamed on a banana leaf, soy lime dipping sauce. All for only $13.99. 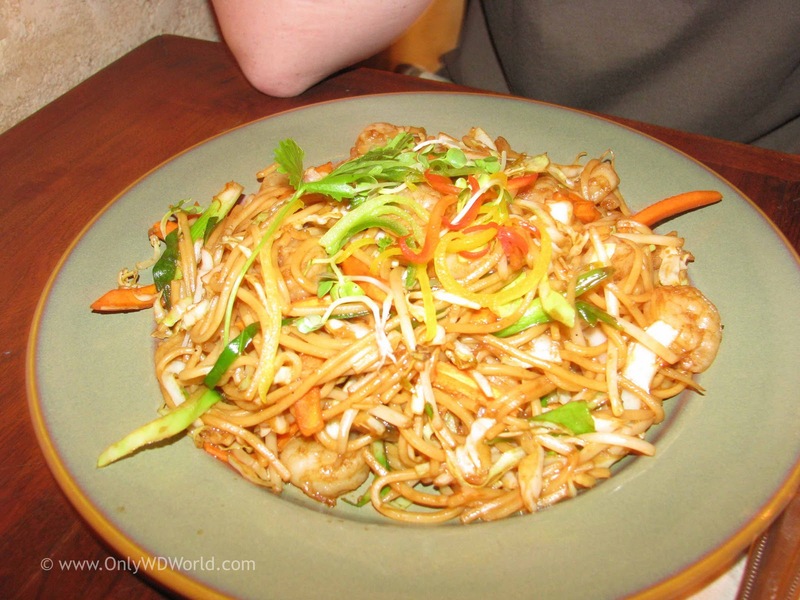 The Lo Mein dish includes Lo Mein noodles, carrots, cabbage, green onions, bean sprouts and Chicken for $17.99. 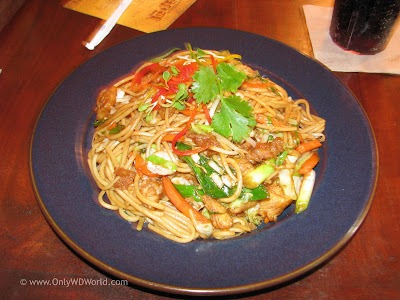 This was a very tasty dish with a large portion, certain to quench the hunger of exploring jungles, battling Yeti's, and time travelling to see dinosaurs. 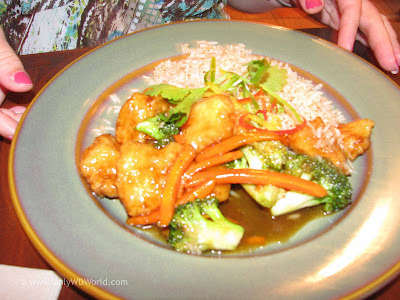 The Wok based dishes include the above pictured Crispy Honey Chicken. This tasty dish includes: tempura chicken, broccoli, carrots, & honey sauce for $17.99. The fourth entree that we tried was Lo Mein with Shrimp, which is the same as the Lo Mein described earlier except it includes Shrimp instead of Chicken for $18.99. 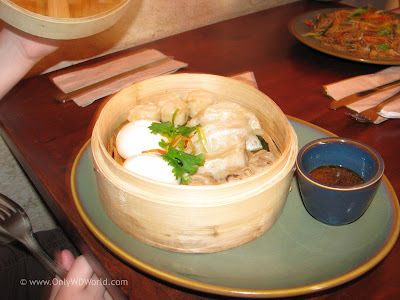 There is a wide variety to the menu featuring Steak, Chicken, Pork, Seafood, and Vegetarian items. There is certainly something that everyone in your group will enjoy. 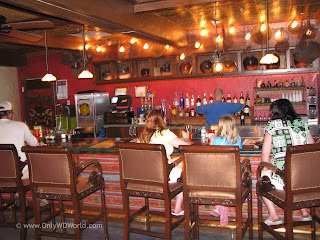 One special Yak & Yeti Restaurant secret that Only WDWorld will reveal here is that there is a full service bar with bar-side seating located within the air conditioned comfort of this restaurant. 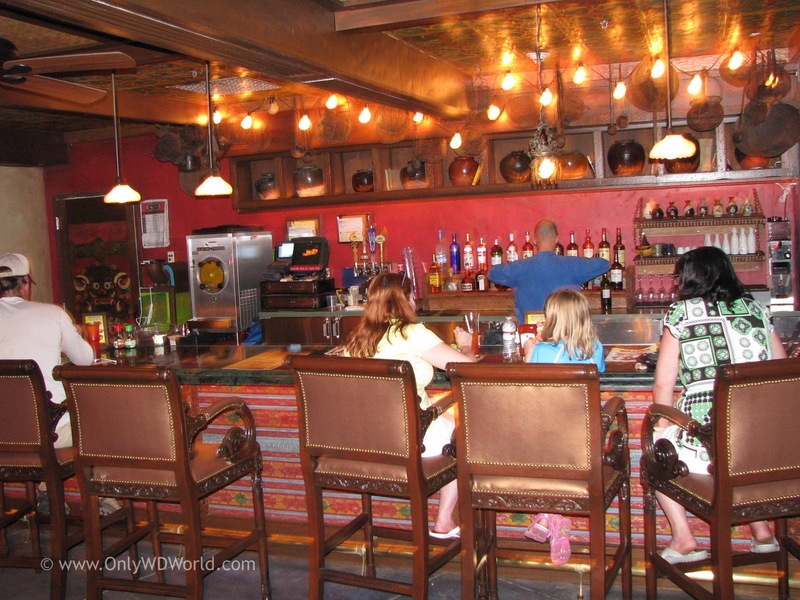 This is a great way for adults to escape the heat of Disney's Animal Kingdom and take a break to enjoy their favorite beverage. 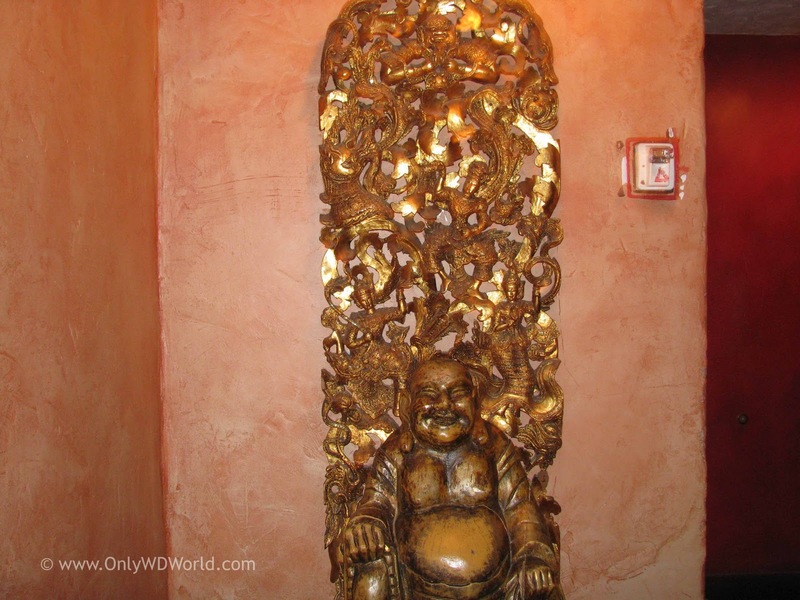 Yak & Yeti Restaurant - Recommended! 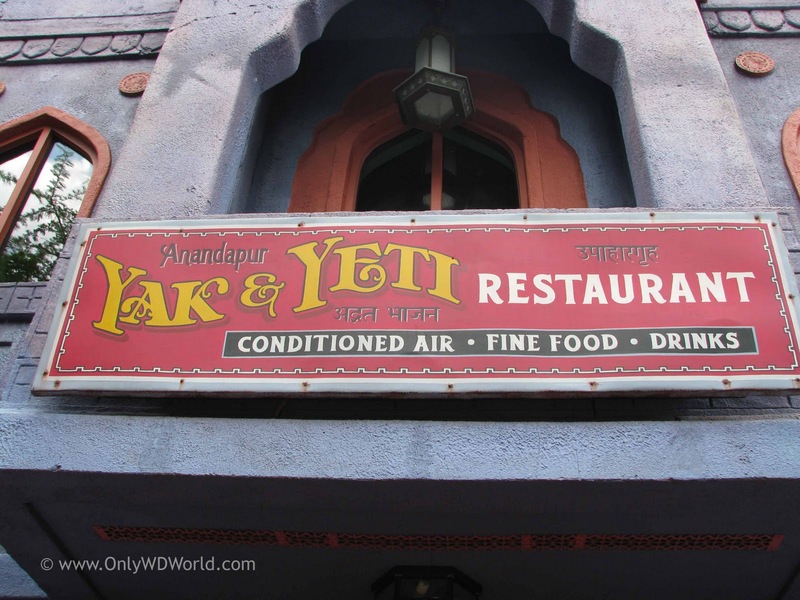 If you are looking for a place to dine during your day at Disney's Animal Kingdom strongly consider eating at the Yak & Yeti Restaurant. This air conditioned oasis not only provides great food at reasonable prices compared to other Disney World Table Service Restaurants, but the theming is incredible. It is like an attraction itself with all of the artifacts and decorations that you will find inside. 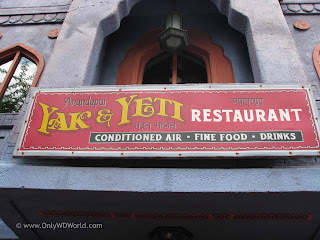 2 comments to "Disney World Dining: Yak & Yeti Restaurant"
eWe LOVE Yak and Yetis and it has become a tradition for our family on each WDW trip! 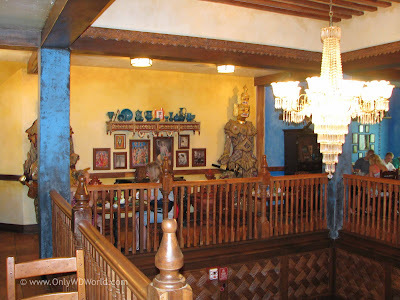 They have a great large round table that we request for our group of 9. Great food at a great value!